Gallery Concerts’ new Artistic Director Nathan Whittaker, cello, is joined by Tekla Cunningham, violin, and Vijay Chalasani, viola, in celebration of the string trio. Often neglected in favor of its “big brother” the string quartet, string trios allow space for a playfulness that is sure to delight. 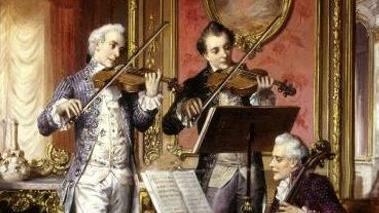 Trios by Schubert, Beethoven, and Rolla are joined by Beethoven’s quirky Eyeglasses Duo for Viola and Cello.